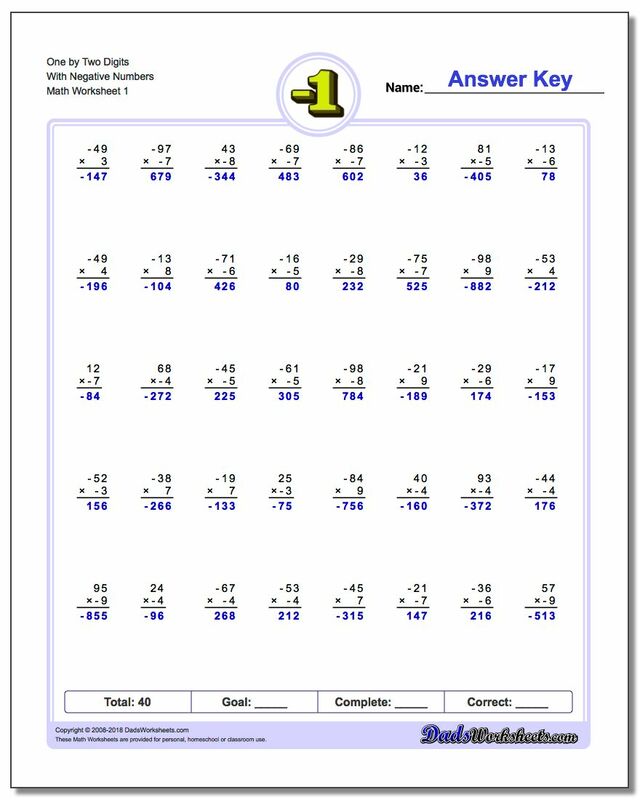 If you have mastered basic multiplication with negative integers, these worksheets for multiple digit multiplication will give your negative number skills a more thorough test. 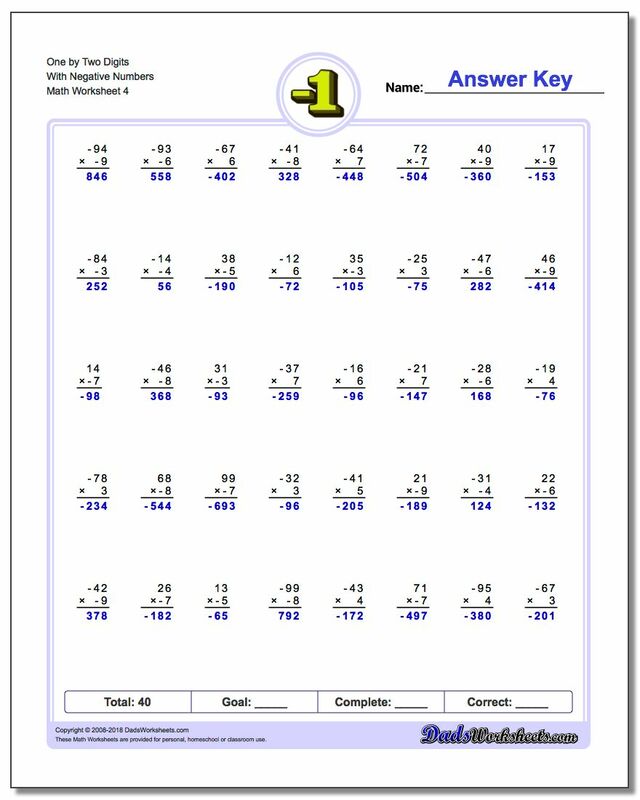 Multiplying with multi-digit negative numbers is fairly easy if you've already mastered multi-digit multiplication. 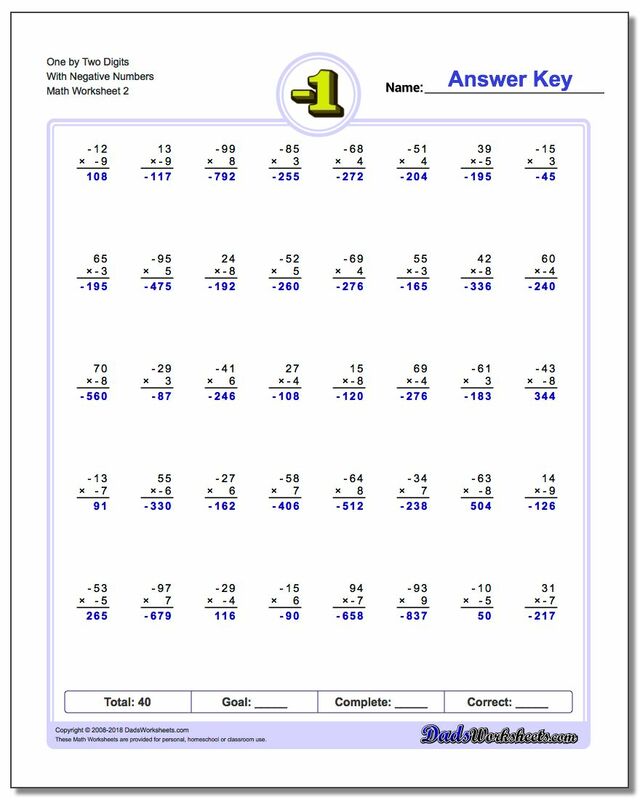 The easiest approach is to figure out the sign of the answer using the multiplication rules above, then solve the multiplication problem normally as if both numbers were positive. Once complete, as a final step assign the correct sign to the product and you're done!